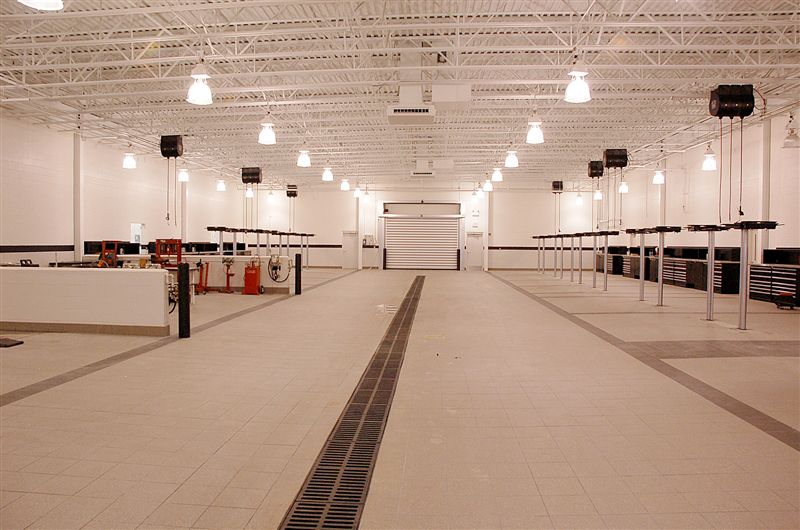 Our new state of the art service center here to take car of all your Honda's needs. Darrell Wiggins receives Honda's Master Tech award. We are proud to offer Auto Butler! Tameron Honda Eastern Shore offers up the superior Paint Protection, Fabrigard, Leather Protection and Underbody Protection packages, thanks to an amazing machine called the Auto Butler. Read more about each service by clicking the corresponding links or simply scroll down. For easy plan information, read our quick FAQs. Would you like to protect your vehicle from the ugly spots caused by exposure to weather, road contaminants, fallout and acid rain? Do the unsightly marks left by bird droppings and tree sap bother you? You could regularly polish you car, but that takes time and energy, plus it's costly. Why go through all that effort when there is a better way to keep your car gleaming bright? The Auto Butler Premier Paint Protection II program, with its two-step process, gives you the protection you need and the shine you want - we guarantee it! Auto Butler's two-step re-application program gives you years of protection and assures a "new car finish" look that more than redeems the application cost when it comes to trade-in time. Auto Butler even sends you re-application reminders to be sure your car looks its best... all the time! Ask us to show you the Auto Butler exclusive Premier Paint Protection II follow-up program. You'll discover how the pros keep a "front line" shine! This limited warranty covers the exterior painted surface of any vehicle treated with Auto Butler's Premier Paint Protection II. Should your vehicle become dull or lose its gloss, be adversely affected by bird droppings, tree sap or acid rain, Auto Butler will have the affected surface retreated. Auto Butler's Premier Paint Protection II protects the finish of your vehicle with a two-step system. The first step cleans, polishes and shines the surface of the vehicle, preparing the painted surface for step two, a second coat, which provides a tough shield against environmental hazard such as acid rain. This warranty is applicable to any privately registered motor vehicle which receives an application of Auto Butler's Premier Paint Protection II. This warranty shall remain in effect provided the vehicle is retreated with Auto Butler's Premier Paint Protection II at the prescribed intervals. Auto Butler will remind you by US mail of the date for re-application of Premier Paint Protection II during the warranty period. Each re-application extends the warranty to the next re-application due date. To watch the AutoButler in action, watch this video by clicking here.